If medications you’re taking for atrial fibrillation (afib) aren’t working anymore, there is another option: radiofrequency ablation. In most patients, rapid electrical activity that starts in the pulmonary vein and spreads to the atrium of the heart triggers afib. Radiofrequency ablation is a procedure that applies electrical energy to the area around the pulmonary vein. “What radiofrequency ablation does is create roadblocks at the pulmonary vein to shield the atrium from the electrical activity that causes afib,” says cardiologist Walid Saliba, MD, Medical Director of the Center for Atrial Fibrillation at Cleveland Clinic. Although radiofrequency ablation has been used as a treatment method for afib since the late 1990s, it is now being more widely accepted as a first-line therapy, or first treatment. 1. Am I a good candidate for radiofrequency ablation? Doctors use radiofrequency ablation to treat patients with afib who have already tried medications that either didn’t work or are no longer working. 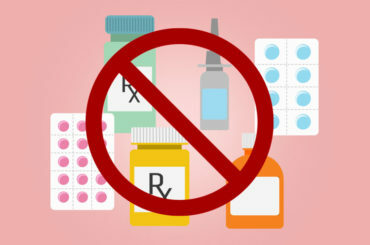 Patients who are unable to tolerate the medications or prefer not to take them may also be candidates for the procedure. Radiofrequency ablation can be used as a stand-alone treatment or in combination with medications. 2. Does radiofrequency ablation cure afib? There is currently no cure for afib, but the results of radiofrequency ablation can sometimes last for a long period of time. Some patients will not have symptoms of afib for years after a single radiofrequency ablation treatment. Others may need additional treatments if they continue to have significant episodes of afib. Lifestyle changes, such as weight loss and exercise, can help decrease the incidence of afib. Sleep apnea and thyroid disease can increase the occurrence of afib, so seeking treatment for those conditions will also help to decrease the frequency of your symptoms. 4. Will I be able to stop taking blood thinners? After radiofrequency ablation, patients often ask if they can stop taking their blood thinners because they feel like they have been cured. The answer depends on your individual situation. If you have more than one of the above, you will still need to take blood thinners. Be sure to ask your doctor if you have questions about your treatment. And keep taking your medications unless your doctor tells you to stop.